Thinking About Stopping Your MS Treatments? Yes, that is the question. Is it time for me to get off these drugs? Corboy’s data, so far, suggest that this might be the case for some of us. But, more information is needed, and there haven’t been many clinical trials that have studied the effects of DMTs on people who are older than 55. That’s why Corboy hopes to recruit up to 300 older MS patients to see what happens if they stop their drugs. His study is called DISCOMS (NCT03073603) and will be conducted at several locations across the U.S. from now until 2021. To participate in the study, patients will need to meet several requirements in addition to those I’ve already mentioned. You can see what they are here. As it turns out, I don’t meet all of them, so I won’t be asking my neuro about enrolling. And since I’m being treated with Lemtrada, I’m hoping to be drug-free, anyway, at the end of the second round of that treatment. But, for those of you who are in the 55+ group, and who’ve been pouring drugs into your body and money into drug co-pays for many years, this is certainly a study to watch. The first results are expected sometime in 2020. Tagged clinical trials, DISCOMS, disease modifying therapies. I ran out of my Baclofin at one point & didn’t have any for two days. I’m still trying to get back to where I was before that happened, as I got to the point where I was needing a cane or walker to get around. I’ve never had any thoughts before of giving up but my willpower really went south at that time. I’m back to the fighting it mode now but never again will I run out of my prescribed pills. How many Baclofen tablets and MG are you taking a day? I take 3 at 10MG. I started taking about a year ago and wondered if it was doing anything. Do you know how the effectiveness is measured? My neurologist told me to add a magnesium tablet to the Baclofen and it is very effective in helping with the muscle spasms. What dose of magnesium do you take? How often and how much do you take Baclofen – does it make you sleepy? MS is devastating my family. I am a 65 year old male that will receive tysabri#61 in two days. I have 3 younger sisters that have been dealing with MS for 30+ years. One of these sisters died 15 years at age 48 after suffering a stroke, blindness, paralysis and all manner of efforts to keep her going. She died weighing 74 pounds, with teen-age children still in the home. I have another younger sister that died 11 years ago at age 51 after suffering many of the same afflictions, stroke, blindness, paralysis and death. I have a third younger sister that just turned 60. She was widowed suddenly about ten months ago. She is struggling with the same issues in her MS.
My 33 year old daughter is starting tysabri in a few weeks after trying so many other treatments that have not helped her. She is a young mother with boundless energy except when she relapses. Oh, the struggles. The Neurologist that diagnosed me said if he had access to the drugs in 1995 that are now available then both of my sisters would still be with us. Ed, your columns are so full of inspiring and hopeful information. This is a terrible disease that needs to be solved. I am still trying to live a pretty normal life, but the pain and issues of 41 lesions and a black hole in my brain and on my spine makes my struggles a losing battle. But, I will not stop, I will not change until this disease takes away all my strength and drive. Thanks you, so much, for sharing your story. I’m pleased that you think what I write is inspiring and hopeful and inspiring but, really, you’re the one who fits that description. Your will to push on, despite all of the tragedy that you’ve suffered, is truly inspiring. You’re a great example of a person who, rather than running from the storm, has learned to dance in the rain. sorry to bother you could you tell me if your family grew up near mills been trying to put some things together alot of people around my town have ms.. i think its time to see what the hell so many people getting ms..i have ms for about 16 yrs and my husband 9 yr like i sad sorry to bother you..
Jennifer, I grew up in a mill town. My son and I both have MS and my mother had a degenerative brain disease that only 1 in 1 million people get. What are you thinking about the effects of the mills? Jennifer were these Steel mills you are speaking about. If so you need to study the affects of burning Manganese in the steel making process. I really think Manganese which is used in so many things such as farm sprays , Batteries and the list goes on is responsible for a lot of or problems. Manganese is used in the bulk form in the steel making process. The Wahls Protocol, May be an interesting read for you. She beat MS with Paleo Diet Principles & Functional Medicine. Devistation. Good grief. How does one even respond? It does strike me however, that your family sounds particularly sensitive to environmental carcinogens. While auto-immune disease DEFINATELY has genetic components, it does not typically present in that way. The progression you describe sounds severe and rapid. While MS can surely be so (my Aunt was wheelchair bound at 23), it is most assuredly atypical. PLEASE seek help from researchers, and anyone else. Check our genetic research programs. This disease is devastating your family, and I believe they have it wrong. I am quitting Tefidera in a year, I am 65 and have been on it for 4 years and I was on Rebif for 5. I haven’t had any relapses in nearly ten years. My husband continues to work so we can have good insurance. We have not figured out a way to afford Tecfidera after he retires. The closest figure we have managed to come up with is close to $5,000 a month. That includes the cost of the insurance policies and deductions. We don’t have that type of money. The men in his family don’t live past their mid 70’s. I want him to enjoy some retirement years, not work until he dies. I totally understand. I was in a similar situation. I’m assume that you’re on Medicare and using your husband’s insurance as secondary to it. If you’re on regular Medicare the way to go is to change your DMD from a pill or an injection to an infusion. Infusions are covered at 80% under Part B. Pills and injections are covered under Part D and the out-of-pocket is much higher. After I retired, I added the AARP Medigap insurance (United Healthcare), which covers the other 20%. Ed, thank you for this suggestion. I will give it serious consideration! I am 66 and my husband will be 65 next summer. We are facing the exact same situation that you have outlined. I want my hubby to enjoy some retirement years as well. It is a difficult choice. Your neurologist should have forms to fill out for the manufacturer to grant you this med without cost. My friend gets Tecfidera at no cost, saving $5000 a mo. on that med. I was too was using rebif for several years and after advice from my neuro. switched to tecfidera. I lost my contracting biz. and we. went bankrupt. I then found assistance to get tecfidera for a very low co-pay and now how received grants to get it free. Somehow poor is better, but now my wife and I are enjoying our retirement together. We will both be 65 this year. while I agree with you (and Dr. Corboy) that currently nobody truly knows if it makes scientific sense to continue (current) MS treatments into “old age” in so-called “stable” Ms-patients, one must keep in mind that Dr. Corboy’s study will only answer a fairly narrow question: compared with patients that continue treatment, what percentage of so-called “stable old” patients remain free of clinically manifest relapses, disability progression as measured by EDSS, and new MRI lesions for a couple of years after stopping their medications. Thus, the assumptions are 1) that those criteria (relapse count, EDSS, and MRI) truly reflect “all there is to having MS” (which I think is very doubtful – consider the fierce debate about what “NEDA” – “no evidence of disease activity” – really means), and 2) that 2 years or so is a sufficiently long period of time in that age group (given current life expectancy rates, one wonders). I am concerned that while the scientific questions are of course important to sort out, these preliminary and short-term data will be (mis)used to deny insurance coverage (including, especially, Medicare coverage!) for MS medications. The fierce debate about how so-called “benign” MS should be defined, measured, and/or treated also sheds much light unto this difficult question. While it is important that data are being gathered, and that we at least try to answer those difficult questions, it is also crucial to keep the obvious limitations of these kind of studies in mind. When economic considerations – whether profit-maximizing or cost-cutting – are the predominant motivation in evaluating data, both science and patients suffer. I am delighted that Dr. Corboy will be advancing the state of knowledge in clinical MS-research, and I hope he will be appropriately cautious when interpreting the results, given the unavoidable limitations of such studies. Incidentally, I am a retired 62 year-old neurologist with MS. Thanks very much for your comments. As someone who views things as both a patient and a neurologist your thoughts carry significant weight. In the surfing that I do of social media sites I regularly see MS patients who question the effectiveness of their treatments. As we grow older, and as some of us tick-off decades of DMD use, it’s a natural question. And, as you say, the standard measures of disease progression fail to “reflect all there is to having MS.” What we feel is not, necessarily, what the tests show. You raise a very valid concern regarding denial of coverage. It’s one that I didn’t consider and it’s important. Let’s hope that Dr. Corboy’s study doesn’t provide ammunition to limit DMD approvals. On the other hand, I’ll certainly be interested to see if the study results mirror my experience, even though the scope of his study may be limited. I hope that you’ll continue to share your thoughts about what’s written here. Your unique viewpoint adds, significantly, to our knowledge. Iam going on 34 years with ms.I am 56. I went off DMT’s back in 2009. I was eight years on Avonex until it started effecting my liver. Took a whole year to get my #’s back to normal. Tried Copaxone and had an allergic reaction after 8 months.So I stopped everything. Like the article I don’t have relapses just a slow decline. My mri’s don’t change. So why take them? I was slowly declining while on the DMT. And I can say I felt better systemically after I rid my body of them. I use CBD oil for spasticity and n busy days I will take 1/2 Provigil when needed. I swim 3000 yards a week and work an average of 26 hours a week at a desk job. I think everyone’s is different and it’s always going to be “benign” in the beginning. I went 12 years with no symptoms after DX.Was not on anything in the beginning. I went into SPMS about 5 years ago. It’s going to do what it;s going to do regardless. Thanks for offering a thought provoking discussion. I was diagnosed in 1998 and still have RRMS. I continue to have relapses and indications that the inflammatory process is alive and well (sic) in me. I am currently on Aubugio and right now , it is the best fit. I am considering other treatments as well. Until relapses have ceased for five years, I may consider stopping treatment. Until the, the beat goes on. How do you get your CBD oil and how much do you take? I was not diagnosed with MS until I was 67 yrs old. Now I know that I probably had MS for years before but never really caused any problems. My plan since I am very healthy and active that I would not take any drugs since I hate medication. Well my plan didn’t work and last year for 2 months lost all feeling in both legs. Then this spring lost all vision in my left eye which 80% returned. I am now taking tecfidera and my last MRI showed no new lesions. I have had 3 sets of MRI’s this year with and without contrast. So maybe I am the exception but age does not always make you MS symptom free. At this point I will not stop taking MS drugs. We have an assistance program that pays the copay after the drug insurance pays their part. Our supplemental medicare plan has paid for all of my MRI’s this year. I was diagnosed at 60 last year. What assistance program do you have for the copay? 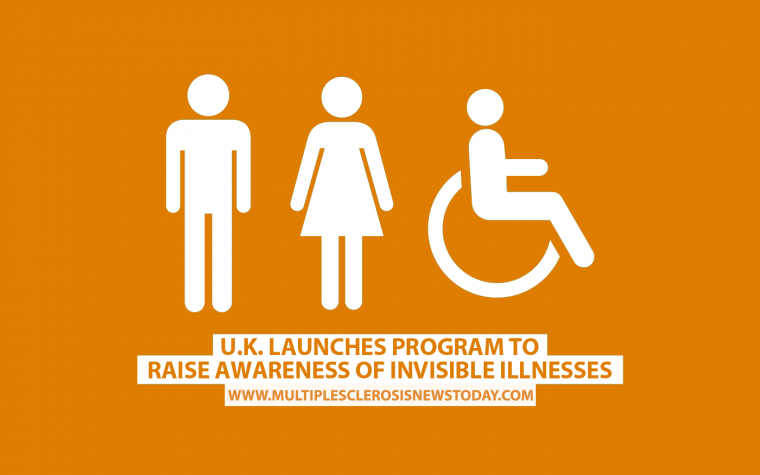 I have had MS for many years but was not officially diagnosed until about 17 years ago. My MS neuro put me on Copaxone and it helped immensely. Fast forward to the last couple of years and I switched to 40mg Copaxone because I was running out of decent skin to inject into after daily injections so long. Now my MS neuro says I probably could give it up due to my age and lack of progression via MRI every five years. I am 72 and feeling great. Generic Copaxone just came out and I know my insurance will be switching me to that. My dilemma is that I am very afraid to give it up even at my age. It gave me back the ability to walk when I was in a WC way back. I get the usual flares from heat or exhaustion but no real relapses in years. I asked my doctor how many my age still use DMDs and he said just a very few and that he would try to talk me into giving up next year at my annual visit. I am so torn. Yes, I hate the shots but yes, I know how it helped me all these years as well. Mylan who makes the new generic will pick up my copay so it doesn’t cost me but the inconvenience of doing those shots. Whether to continue is a tough decision at our age. I applaud you for being able to stick yourself for that long. When I was on Avonex I hit a self-injection “wall” even had a problem, after a while, with being injected by my wife. (And Avonex was only once a week). I’ve used various DMDs over the years, all of which seem to have helped slow my progression. Now, I’m 11 months past my first round of Lemtrada. Normally, after a second round patients are able to end using a DMD forever! I’m planning to be one of those. Thank you so much for this article. This is the first I have ever heard that MS could go into remission and stay there now that I am older. I was diagnosed 25 years ago, optic neuritis, had a slew of exacerbations the first years, but then started Avonex, then Tysabria, then Gilenya. 4? months ago I stopped Gilenya – and I feel fine. I have not had an exacerbation in many years. I’ve taken up running, started eating vegetarian, have never felt better. Like most of us, I have some problems from past exacerbations – just one problem, a neurogenic bladder means I have to use catheters. But otherwise, I’m fine, I work full time, run 4-5 miles most weekends. All I have ever heard about how my MS was going to go was we will all just go downhill, our MS will go from recurring/remissing to secondary progressive, we’re all doomed. But that’s not what I am experiencing, and thank you for letting me know this is not some extremely rare situation! I’m glad that you found it useful and that things have been going well for you. Let’s hope that the only time you wind up going downhill is when you’re running. Good morning! I have thought about eventually stopping my copaxone shots at some point in the future. My husband and I went to a recent Shared Solutions education event and I heard that it is actually becoming a thing with medical support for some people. This made me very happy. It’s been 7 years since I had a relapse (I was diagnosed in 2010 but had RRMS for at least 18 years prior to that but the doctors were unable to figure out what was going on). In January I’ll be seeing my neurologist about maybe stopping when I get into my 60’s if I remain stable. Fortunately or unfortunately, I don’t qualify for this trial b/c I have no disability. Hope the trial produces some good information that will help the MS community. It’s wonderful that you have no disability and no relapses since 2010. The question, of course, is the lack of relapses due to Copaxone and, if so, will stopping it open the door to a recurrence? That’s the problem with MS and its treatments; you really don’t know, for sure, what impact the various DMD have on the progress of this disease. Maybe this trial will provide some indication. Anyway, it’s certainly worth discussing with your neuro and I wish you well. I took Rebif for ten years (02/03 until 06/13). I was just tired of needles. There had been no relapses while on the medication, & there have been no relapses since. I am 65 years old. The visits to the neurologist are now every two years, as well as the MRI’s (since there has been no noticeable signs of progression). I have pain, though I’ve been told it’s not from the MS. With recent articles suggesting Gadolinium poisoning causing pain, I am very leery of continuing MRI’s. Maybe us older patients need to look into Myelin repair strategies instead of suppressing our immune systems? I’ve been on several DMD since I was DXed in 1980. I, too, think they’ve slowed my progression, though there’s no way I can prove it. It’s really an individual choice and I’ll be very interested to see the results of this study. It’s not my study, Terry, but I think it’ll be interesting reading for both of us. Good luck with the Ocrevus. You’re probably doing it for the same reason as I, at 69, am doing Lemtrada. We want to remain as stable as possible. Your yoga and water aerobics should really help keep you as mobile as possible. IMHO, you’re traveling the right road. I was diagnosed at age 53 (2008) and am now 62. I was on Avonex for the first 5 years with no relapses after the first relapse that sent me to the doctor. My neurologist thought I should try copaxone as I was having site reactions after 5 years. Then it was copaxone for 2 years followed by generic copaxone until 18 months ago when I went off everything due to 2 bouts of aspiration pneumonia and several deep abcesses that required surgery over a 12 month period (my immune system was pretty bad by then). Still no relapses since going off all DMDs, and my MRIs show no change in lesions. 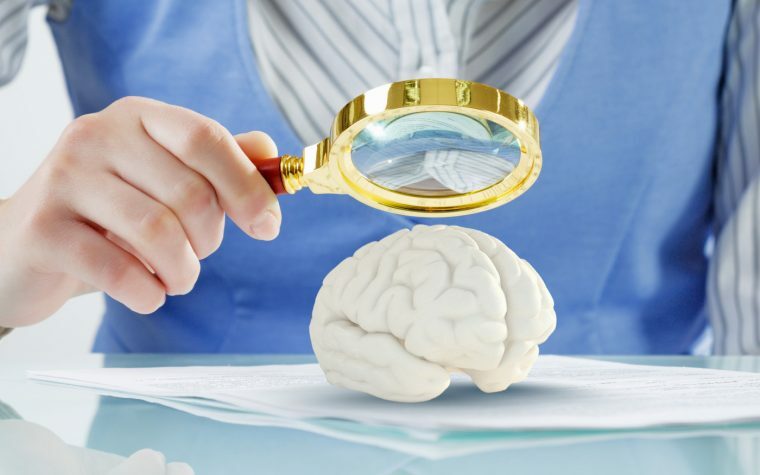 There was an increase in brain atrophy when I was on Avonex with no noticeable increase since going off Avonex – I don’t know if the brain atrophy was related to Avonex or just an MS period of activity during that time. I’m on lisinopril for blood pressure, fluoxetine (Prozac) for depression, and naproxen (Advil) for pain, plus over the counter vitamins and low-dose aspirin. I work full-time and have noticed some changes in cognition (brain fog) that I have to deal with daily, plus MS fatigue. My gait is getting worse and I use a walker, but that’s partially due to a bad hip that needs replacing in addition to MS balance issues. I’m curious to see what this study will come up with for those of us that have late-onset MS and are DMD-free. There are organizations that help Ms patients with the cost of medication co-pays. If you get in touch with MS One to One they will give you a list of places to call for financial assistance. MS One to One phone number is 855-676-6326. Good Luck! I tried but because I am on Medicare they don’t have funding to help us. Believe me, I called every single place that offers copay assistance. If you are on Medicare they will not help. I know, when my insurance cut off my Copaxone I called them all for copay help for the generic. Nope! And if my insurance let me go back on Copaxone, Teva won’t pay copays for Medicare patients anymore this year too! That the drug companies will usually help you with their medication. I commented last fall that my insurance would likely cut off my Copaxone. They did and insisted after 15 years of Copaxone I needed to do their step therapy and switch to generic glaterimer acetate for 2018. My prescription for Copaxone was honored til it expired in March. My neuro said he didn’t feel I needed it anymore as I just turned 73. The insurance told me if my MS got worse on generic they would consider letting me go back on Copaxone. I tried to reason with them about the need to not get worse because they took away my successful treatment to no avail! I stopped treatment two months ago and feel great! The final nail in my treatment saga came in the form of all copay help being denied from both Mylan and Teva! They adopted new guidelines for this year; if you are on Medicare you are denied copay assistance! I argued they have been paying my copay for 8 years I have been on Medicare and was told they are saving it for younger patients! So there you go! So far so good for my MS….but what about my future? I guess at this age they don’t care! I’m 62 and just had new enhancing lesions on cervical spine. Was diagnosed in 2001, but was doubtful of diagnosis so never took any DMDs for any period of time. Walk with cane or a walker now and quit work 3 years ago. I’m suppose to start ocrevus next week. I’m not sure if MS slows down when you are older!!! As you can see from reading my column, at least one researcher is studying whether continuing a DMT for we older folks is worthwhile. If you read through the comments you’ll see that there are others who agree that, after a while, continuing a DMT doesn’t seem a wise choice. Ocrevus seems to be effective at halting progression and, in some cases, reversing some symptom. But, like nearly all DMTs, it’s a treatment that’s designed to continue forever. On the other hand, Lemtrada is designed to end following two series of infusions, a year apart. I’m nearly 5 months past the second round and doing well. I’m hoping to never have to take another shot, pop another pill or have another infusion of a DMT. At age 70 (just) I think it was the right decision for me. Interesting discussions! Dxd at 51-1/2 yrs old, after being allergic to Extavia and getting new lesions with new symptoms while on Copaxone after 9 mths, since 2/2012, I’ve been on Tysabri. Since then, no new lesions and symptom progression has slowed. Until clear evidence exists to show that, now, at age 60 yrs old, DMDs no longer provide benefit (eg, slowing progression of disease and symptoms), I can’t imagine stopping a treatment that has preserved my ability to function. Your philosophy has been mine, Ellen. However, now that I’m 70 and I’ve had two rounds of Lemtrada I think I’m finally done with DMTs. It sounds, to me, as if you owe it to yourself to get the opinion of another neurologist. It doesn’t have to be at Mayo, although that’s an excellent medical facility. But I’d recommend that you see someone who specializes in MS.